Unlike our many other yearly TWIKE adventures, TDE2017 took a heavy toll on TW560. 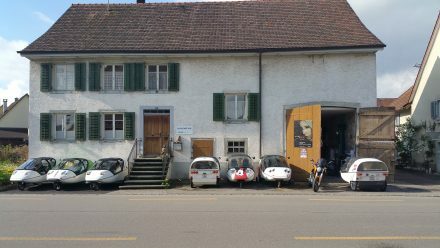 First stop is at Andreas Martin’s Ksenotek, Switzerland’s newest TWIKE service partner in northern Switzerland. The 360° sphere below was created by me during TWIKE Klub Switzerland’s 2016 general assembly which started at Andreas’ workshop. 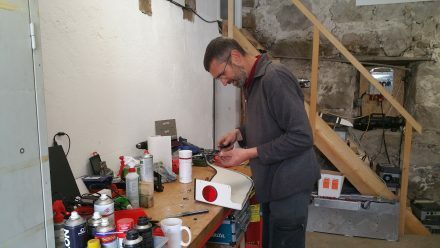 As usual, Andreas greets me enthusiastically and before he starts working on my TWIKE offers me a coffee and catches up on the TWIKE scene’s gossip. 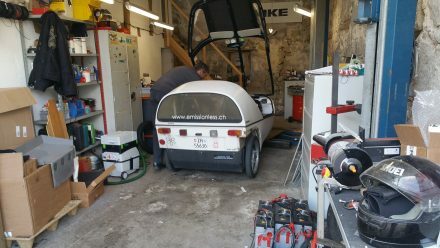 He then proceeds to roll my TWIKE into the workshop and starts working on one of the more pressing things that need attention: the tyres. I know, I know – they’re completely run-down. TDE2017’s crossing of many mountain passes is to blame! 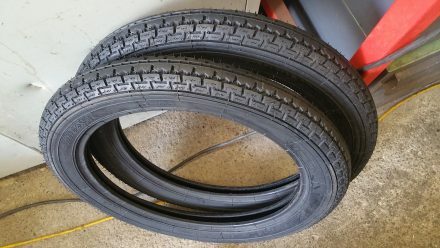 Happy to have made it back instead of what has already happened to me: being left stranded at the side of a road with a flat tyre due to them being completely run-down. Without wheel case cover and missing the tyre, TW560’s setup looks awfully inadequate for 100km/h driving! 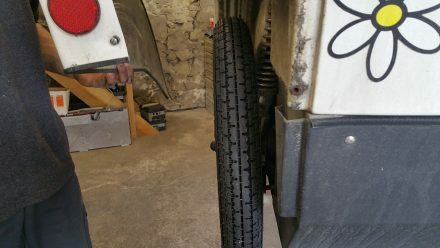 With about 5mm tread added to the wheel’s diameter, I’ll have to measure the tyres circumference again and change this parameter in TW560’s controller to keep it’s information as accurate as possible. 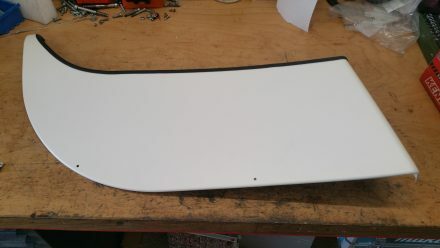 Next up is a new wheel case cover to replace the one lost during a storm whilst driving in Hungary. 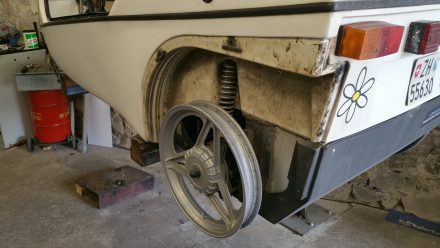 New ones can still be bought – TWIKEs are still in production today and there still is a stock of replacement parts available – even 20 years after they started building these vehicles! the cover needs a reflector! 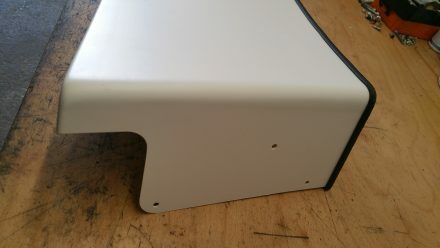 Only a reflector is missing before it’s ready to be mounted in place. 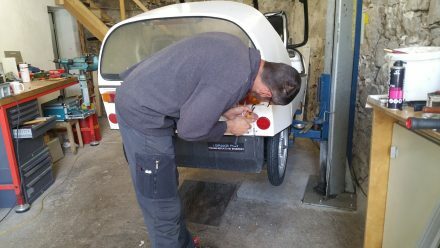 Since every TWIKE is slightly different, even standard parts don’t just fit – Andreas has to adapt some parts and – above all – repair the cracks left by the old cover being violently ripped out of its anchor points. 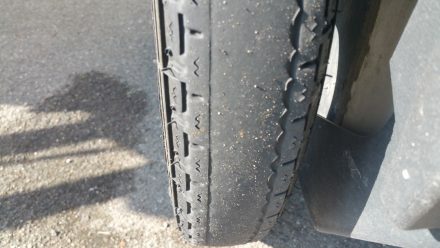 All of these have to be re-fitted and repaired. With this TW560 looks like it should from a distance – Part 2/3 will take care of TW560 close-up. Stay tuned! TDE2017 – Day11: A last climb to 1675m & home sweet home!